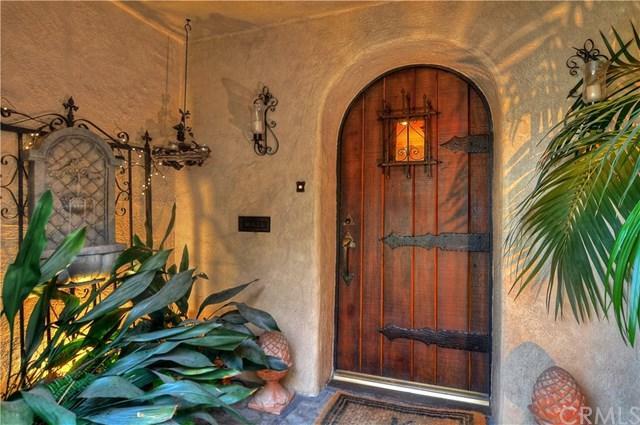 Picturesque two-story Tuscan inspired home nestled in the peaceful foothills, of the most coveted area, of Pasadena. 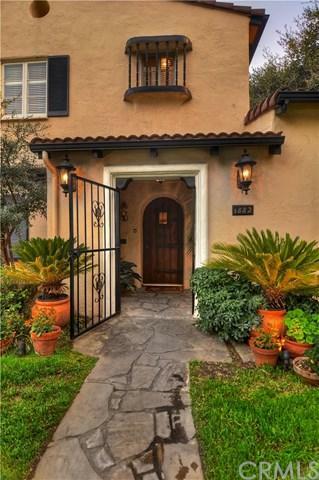 This 1930s historic beauty emanates Italian warmth and style - it has been meticulously maintained throughout. The grand foyer and ornate staircase, with custom artwork and chandelier, provide a dramatic entrance into this remarkable home. The living room and dining room both have spectacular views of the mountains as well as refinished hardwood flooring. The beamed ceilings and tiled hearth in the living room make this room exquisite. The oversized kitchen fits every chef's needs with the cherry wood cabinetry to the granite countertops and travertine flooring. The large master suite contains a massive walk-in closet, full bathroom, and topping of this suite is the stunning view of the incredible San Gabriel Mountains. There are three additional spacious bedrooms upstairs all containing walk-in closets, crown molding, plantation shutters, and views. 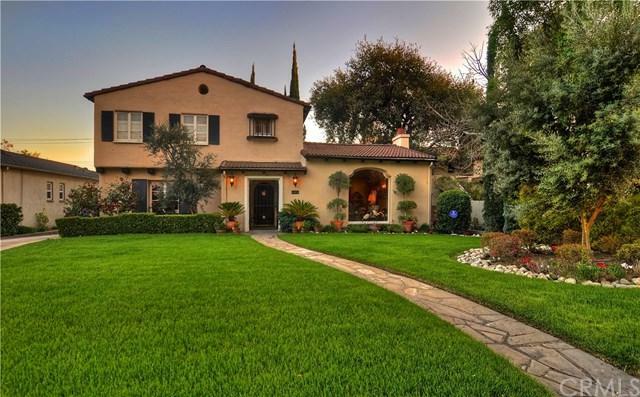 As if the stunning Mediterranean home isn+GGt enough, the grounds are truly something to behold. 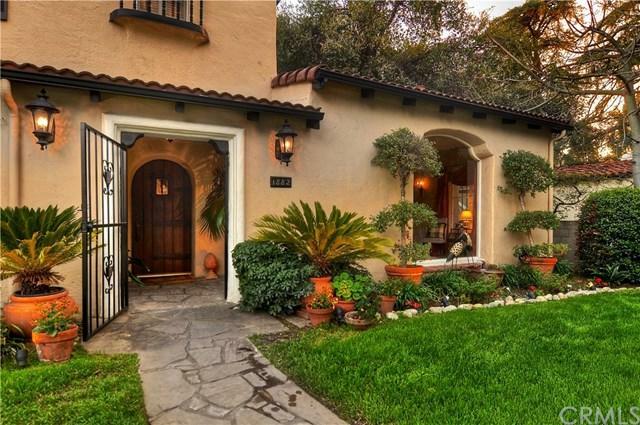 You approach the front of the home via the original stone walkway that is accented by the beautiful olive trees. The magnificent backyard is an entertainer+GGs paradise with lush landscaping, a multi-tiered fountain, an expansive patio, a cabana, and an inviting gas fireplace. This wonderland is a sight to behold, and at night it is beautifully lit throughout.